How to Organize a Cost-Effective Beach Wedding? - Something New Everyday! 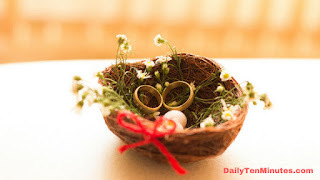 Home wedding How to Organize a Cost-Effective Beach Wedding? How to Organize a Cost-Effective Beach Wedding? Beach weddings are always cost expensive because of the environment it happens in and the obvious demands it pulls. Groom or a bride, wedding is a dream, a day in a lifetime would it be that grandeur and awesometastic. Spending on our dreams is not wrong, but with little research and proper planning, a great portion of the actual expense could be easily saved. The first step in saving huge pennies on a beach wedding is to hand over the job to a well-experienced event organizer. It is important to choose those who have the experience of handling outdoor events, especially those who specialize in exclusive beach weddings will be a great choice to pick. Don’t experiment! Yes, many over-enthusiastic couples will want to give a shot of organizing their whole beach theme dream wedding on their own. No, it does not work that easy as it sounds. Once you get into it, you will know how tedious it is, regarding cost, time and workforce. In the trial and error phase, you will have to lose a huge amount and also your precious time to get yourself ready for the big day of your life. So, the first step in cutting down cost is to find out the perfect beach wedding organizers like Myrtle Beach Wedding and hand over the job to them. You can give them every single detail that you want to add up on the day and the organizers will take care of it. Though the beach wedding is one common concept, there are meticulous specializations to it. It can either be a simple beach wedding or a grandeur event. You can choose to have it as a close family wedding with just a few guests and the couple to have memories held close just with them, or it could be a massive huge crowd wedding. It can sometimes be only the couple cherishing their time purely together as a photo session or video session. The need may vary, but the wedding organizers must be able to cater to whatever is required. Does it sound odd? If you save money for a long time, you will have a good amount as your bank balance which you can use for your wedding. If you are going for loans or other sources of borrowing money, you will not know the limits. You will borrow more and end up suffering more. So, save and spend from your pockets so you will be accountable to every penny of it. Yes, a dream wedding on a beach will make you go crazy for. You will not want to miss any single element that will add up to the pep of the wedding mood. But, this is where you have to be extra cautious. Spend on what is needed, and strictly avoid what you feel can be avoided. Limit on your lavishness and spend on all your necessities so that you can feel financially good even after the wedding.